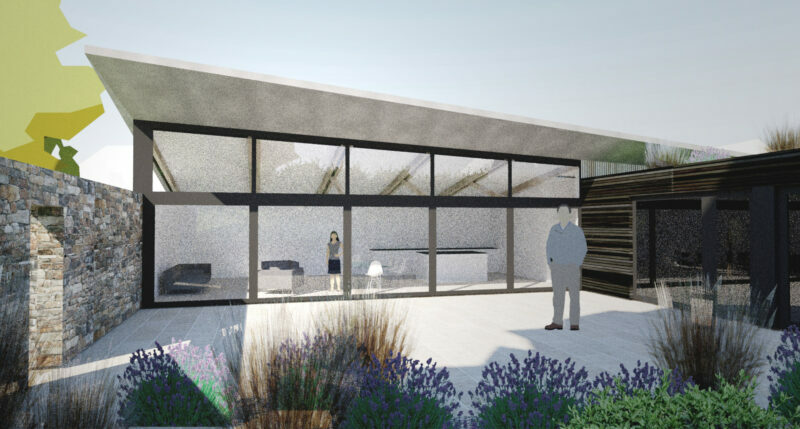 The approved design features a spacious, enclosed courtyard garden area. 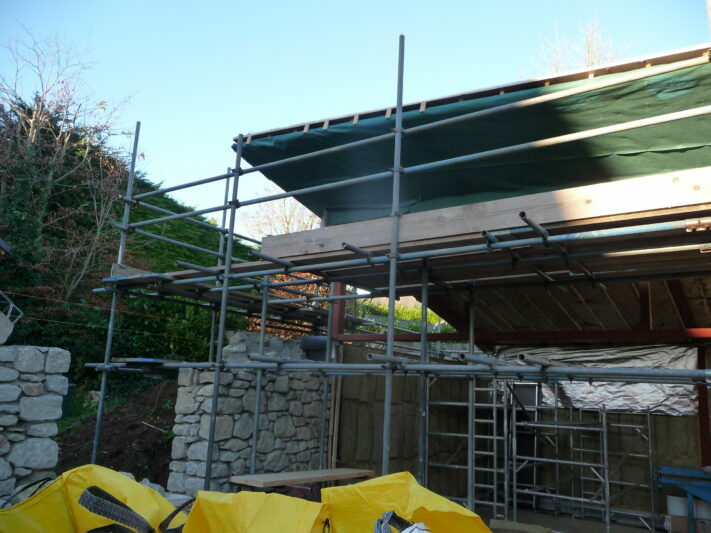 Construction works are progressing well for a contemporary new build house in Ashburton, Devon. 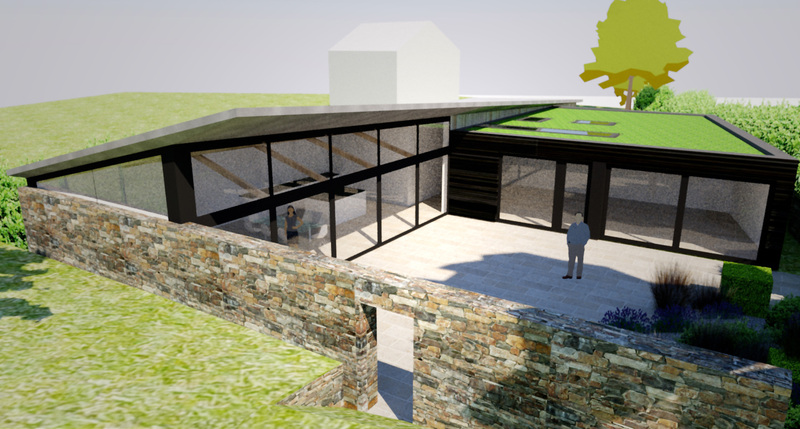 Van Ellen + Sheryn received planing permission from the Dartmoor National Park in December 2015 and are excited to see the design come to fruition. 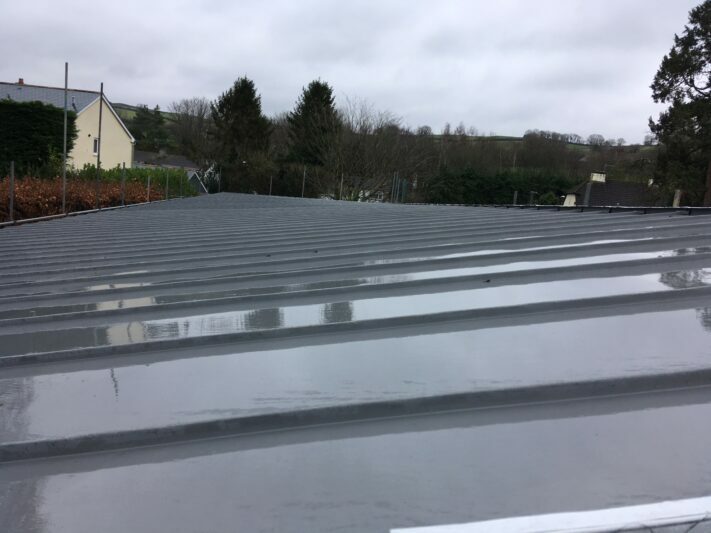 The zinc roof by VMZinc, installed by Joce Roofing, is nearing its completion. The roof, designed to twist and rise along the length of the building, creates a single height space over the entrance rising to a dramatic double height space over the open plan living, dining and kitchen areas. 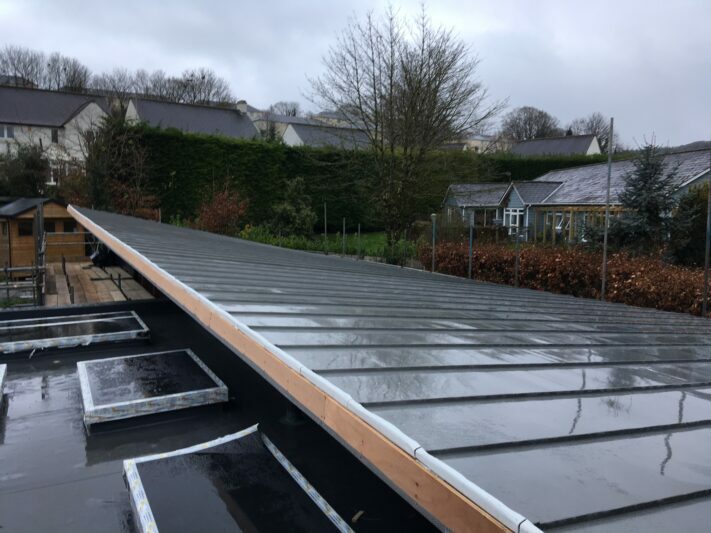 The zinc will be visible from ground level as it returns forming a tapered soffit. 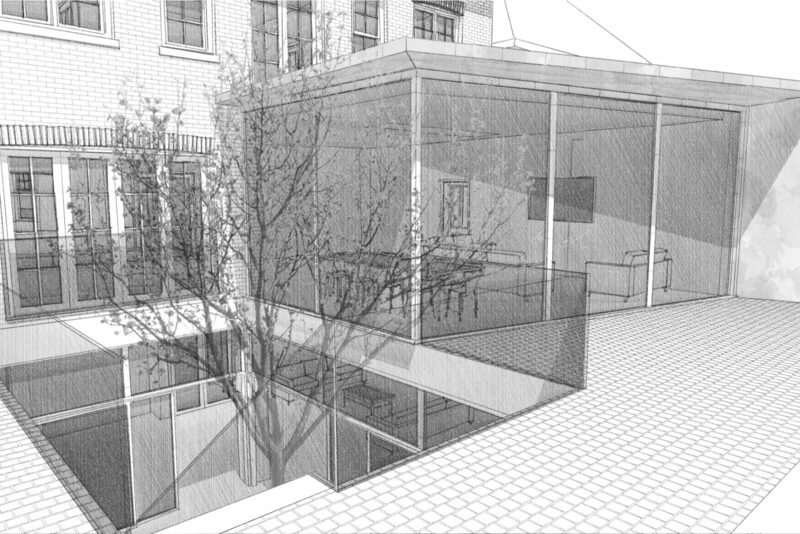 A key part of the client’s brief was to have a courtyard garden area that was enclosed and felt protected with good visual connection to the kitchen and living areas, so that their young grand children could play with freedom but in safety. 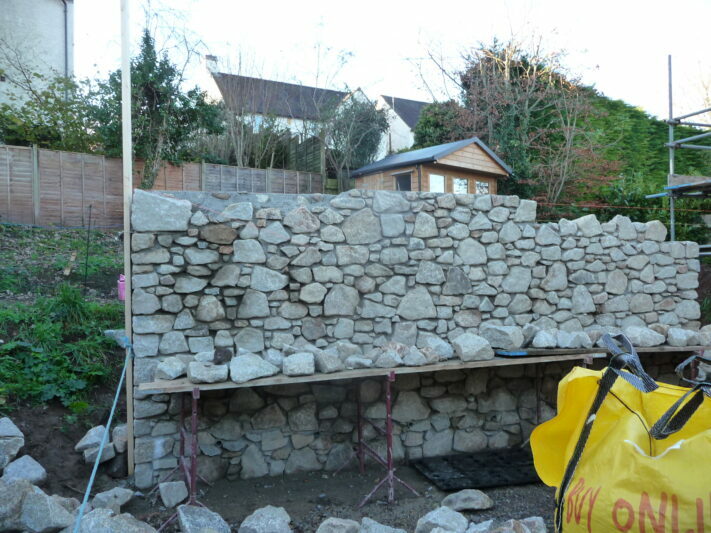 The local granite Dartmoor stone walls are currently being constructed and you can see the courtyard space taking shape. 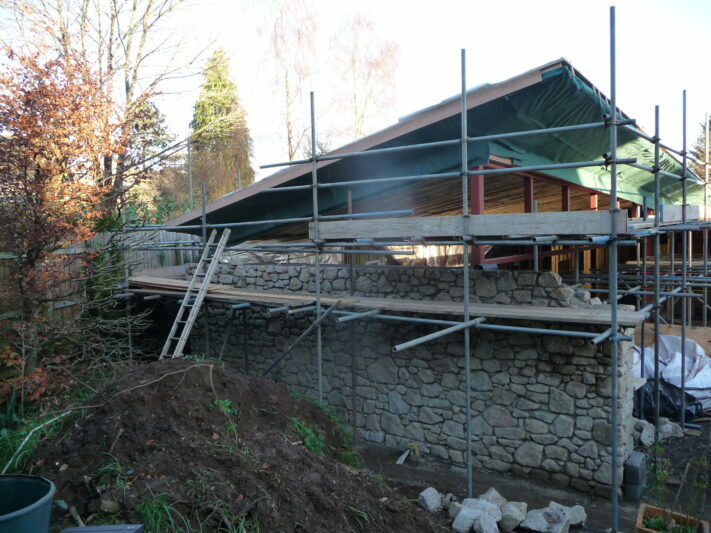 Scaffolding will be coming down next week to allow for the timber cladding along the rear elevation.